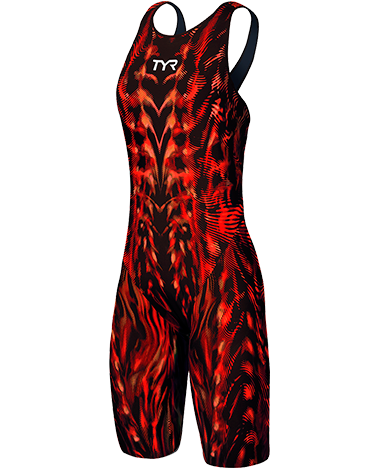 As the first and only technical suit in the industry to analyze drag from a microscopic perspective, the TYR Women’s Venzo™ Genesis Closed Back Swimsuit utilizes ultra smooth fiber to thread a frictionless, durable fabric. 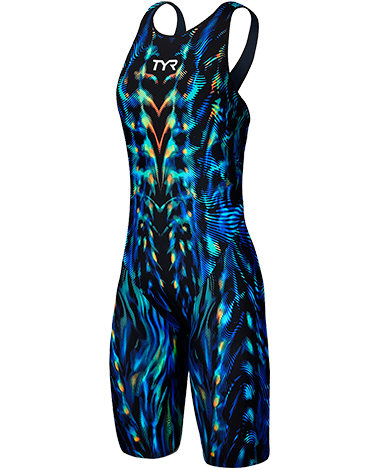 Designed with state-of-the-art Surface Lift Technology™, the VZNCB6A prevents water from permeating its fabric, resulting in higher body position in the water. 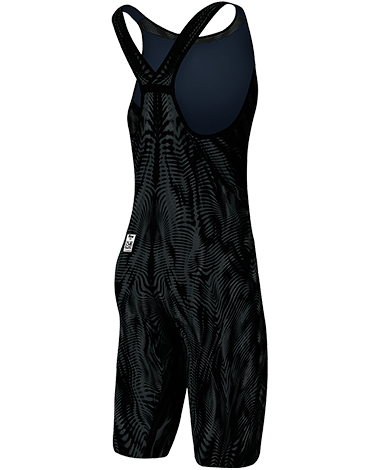 In addition, a patent pending taping and inner textile design known as the suit’s Endo Compression Cage™ provides a shield of support for the abdominals, obliques and quadriceps. This cage not only creates a snapback effect in the water but also helps to increase distance per stroke. 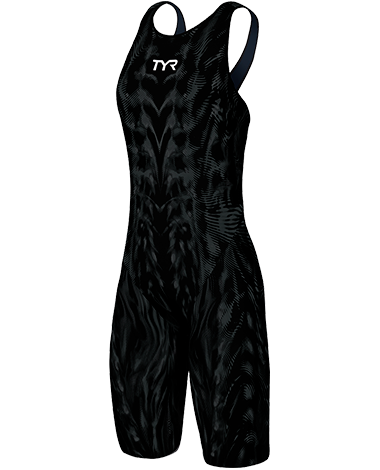 Working in tandem with this technology is the Venzo’s Seamless Exo Shell™, a sleek construction geared toward streamlining body position. 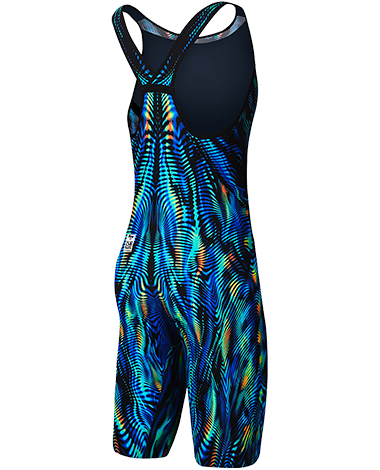 Finally, the Venzo’s bonded X-finity Straps provide athletes with a state-of-the-art combination of comfort and stability as they move effortlessly through the water. Excellent quality. Tight but comfortable fit. Most hydrophobic material I’ve ever seen. Helped in all my swims at State. Will buy again.